EU Blockchain Observatory and Forum is aimed at increasing key developments of this technology, promoting EU actors and reinforcing European engagement with all stakeholders. The European Commission recently launched the EU Blockchain Observatory and Forum with the support of the European Parliament. The initiative will highlight key developments of this technology, promote European actors and reinforce EU engagement with multiple involved stakeholders. 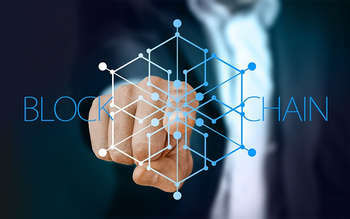 Blockchain technologies, which are continuously growing lists of records, called blocks, linked and secured using cryptography, are seen as a major breakthrough, as they bring about high levels of traceability and security in economic transactions online. They are expected to impact digital services and transform business models in a wide range of areas, such as healthcare, insurance, finance, energy, logistics, intellectual property rights management or government services, says the European Commission. The European Union has been funding blockchain projects through research programmes FP7 and Horizon 2020 since 2013. Up to 2020, it will fund projects that could draw on blockchain technologies for up to 340 million EUR. The EU Blockchain Observatory and Forum, recently launched by the European Commission, will play an active role in helping Europe to seize new opportunities offered by blockchain, build expertise and show leadership in the field. It will be gathering information, monitoring and analysing trends, addressing challenges and exploring blockchains' socioeconomic potential. It will enable cross border cooperation on practical use cases, bringing Europe's best experts together and promoting an open forum for blockchain technologists, innovators, citizens, industry stakeholders, public authorities, regulators and supervisors, to discuss and develop new ideas in order to learn, engage and contribute in an open way. ConsenSys, a global player now well established in Europe, has been selected as partner to support the Observatory's outreach in Europe following a call for tenders launched last year.